The two appeared in a program titled “Vacuum” to be aired by Israeli Educational Television. Several segments were already uploaded to the Havruta website, which actually seeks religious gays as a target audience. He stressed that he has strong respect for those with “inverse tendencies” who manage to put up with the great stance which he himself was not required to stand, but will not legitimize those who do not overcome their “instincts”. The chief Rabbi of Safed, Rabbi Shmuel Eliyahu also participated in the panel and defined homosexuality as a disease. The calm of the event and how normal it felt belied how unprecedented it actually was. The place was packed from front to back. There weren’t even enough chairs for everyone in attendance. Moshe “Bogey” Ya’alon, Minister of Strategic Affairs and Vice PM, took time out of his day to sit down with a fringe group of Feiglinites working inside the Likud, and speak with them about his vision. Bogey showed guts in sitting down with Feiglin and his supporters since his boss, PM Netanyahu, is known to loathe this man, and fears him like the plague. To be caught sitting with Feiglin – you’ll take quite a media beating if you get caught. This may be why Feiglin sent no official word to the media about the event. Bogey’s lambasting of the Israeli media during his 40 minute speech to the group could have been another factor. 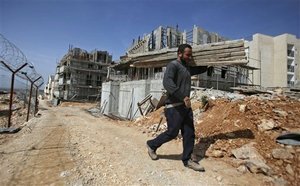 He spoke about Zionist history, about days past where hope was prevalent, about what he perceived as the failure of the Oslo Process, about how Israel thought that by giving up land she could get peace, about how there is no one to talk to on the other side and therefore negotiations are impossible for the time being. Basically, the standard Likud talk, agree with it or not. Though, with all due respect to Bogey, a true patriot and hero of the State of Israel who fought in every war since Yom Kippur of ’73, there was something missing. The frustration in the room was palpable. 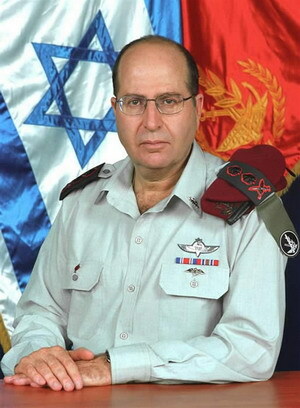 It was a frustration that I understood immediately: Moshe Ya’alon does not really understand who Feiglin is, why his following is growing, what he really stands for, or what he is trying to do. Like so many others, he thinks Moshe Feiglin is just another right winger in Likud with a big support base – a base he wants to get in with and win over, so repeating the standard Likud refrains will make them happy. Keep in mind that Moshe Feiglin is probably the strangest politician in Israel. He is quiet, doesn’t talk much, he’s always smiling for some reason, an almost eerie ambience of calm constantly surrounds him as his rail-thin body slowly sways through a room, and he just won’t leave the Likud no matter how hard his enemies attack him. The man operates, and has always operated on the fringe. His house sits at the very end of his block, at the edge of a hill. When he walks into his Synagogue on Shabbat mornings, he sits at the end of the row. And aside from people constantly approaching him and starting conversations, asking questions and the like, he doesn’t hang around to schmooze up the crowd after services. Instead, he heads straight home, a quiet introvert, back to his house at the very end of the block, back to his wife and children. 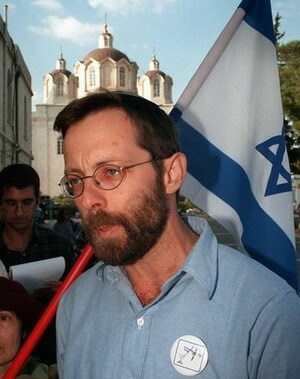 Then what is Feiglin trying to do? He wants nothing less than a total revolution at the core of Israel’s consciousness, to redefine the purpose of her existence, to change everything at the very core, and he wants to do this by winning the Likud leadership, and then the leadership of Israel. The objective of peace, according to him, demonstrates that Israel’s current leaders want her to be a nation among nations, to simply be left alone to her own development, to live without having to launch a defense war every 3 years. Feiglin’s idea is much more basic than an absence of conflict. It is to be a uniquely Jewish nation through a national Jewish revival. Not a religious revival, as he is against coercive religious legislation and is actually a proponent of civil marriage, for example. He even wants to see the end of religious parties entirely and the entire National Camp in the Likud. Jewish revival, for him, begins with the most basic common denominator – Jewish identity. With the sectoral mentality prevalent among pretty much every Israeli today, this type of unity is impossible. This is why operating within the Likud is much more than just a simple tactic for him and his followers. It is, rather, a statement of taking responsibility for the leadership and future of the country and the Jewish people, rather than the leadership of a sectoral party and the funding of your sector’s economic welfare. Whether Feiglin will succeed in taking over the Likud is anyone’s guess. He began with 3% of the Likud vote in 2002, 12% in 2005, and 24% in 2007. He is constantly recruiting new Likud members for this purpose, swelling his support base in the party. If he actually does it, then whether the country as a whole is ready for someone like him is a totally open question. But his fight and doggedness in not backing down despite any challenge, fair or unfair from Netanyahu and the Likud leadership, reminds me of a quote from the movie the Terminator. This is something his political rivals should take to heart, and Bogey’s arrival at Feiglin headquarters just brought him one step closer to his objective. So if you want the status quo to keep stable, if you don’t want things to change too radically too quickly, then Feiglin is the man to fear. And what happened last night should be cause for alarm, because if history has proven anything, it has proven this. Revolutionary leadership – it always begins on the fringe.